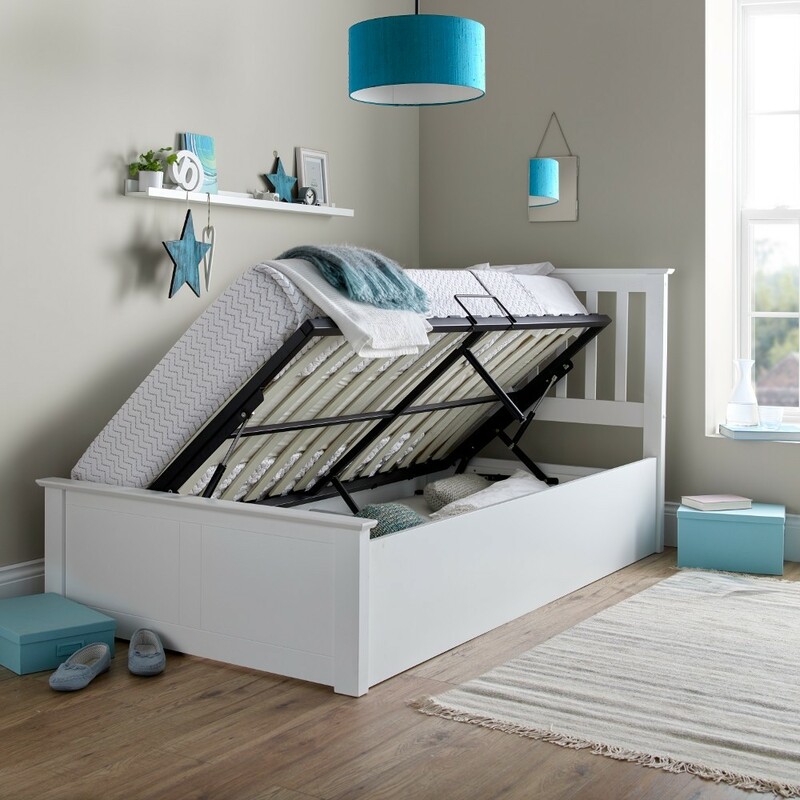 With a versatile, carefully crafted wooden frame, a hidden underbed storage area, and a comfortable sprung slatted base, the Francis White Wooden Ottoman Storage Bed is a charming and concise bed that acts as a splendid addition to compact bedrooms. 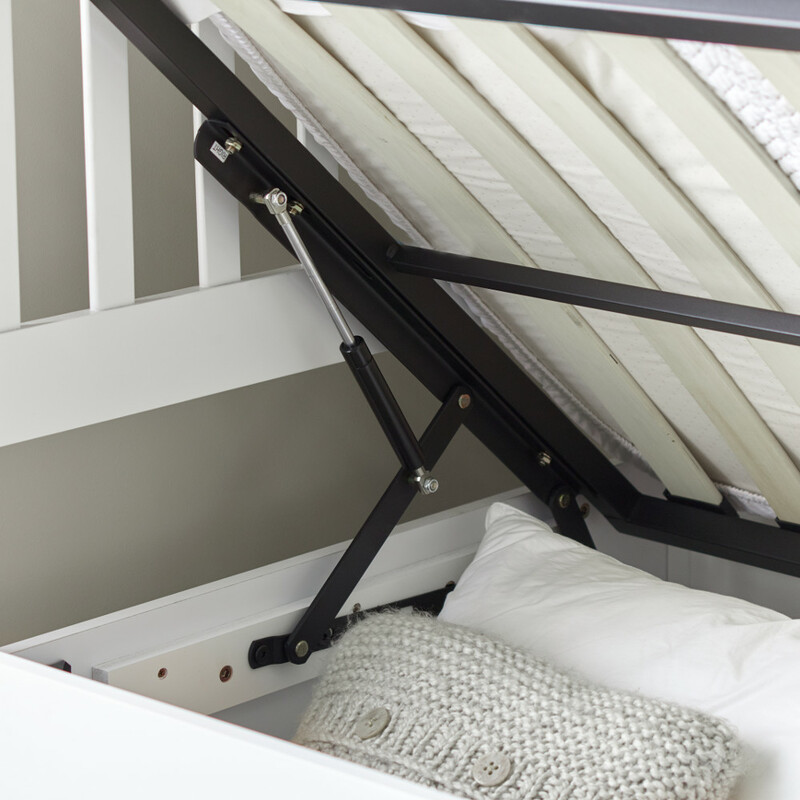 The Francis White Wooden Ottoman Storage Bed features a huge hidden storage area, which you can access by lifting up the base of the bed, making it ideal for those with too much clutter or smaller bedrooms. The stand-out feature of the Francis White Wooden Ottoman Storage Bed is, undoubtedly, its storage space and adaptability. Lifting the base of the bed reveals a large hidden storage area underneath. The Francis White Wooden Ottoman Storage Bed is also extremely adaptable to the layout of essentially any bedroom, as you can choose to open it from the right or the left, depending on how you assemble it. Accessing the storage space is also made easy, thanks to the gas-piston mechanisms. This also makes reaching the storage area much safer as it closes softly. 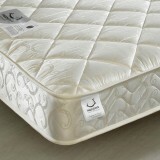 The storage area is also well-ventilated and so is perfect for keeping extra bedding. The Francis White Wooden Ottoman Storage Bed is a blend of modern straight-lined design as well as a traditional wooden structure. Made using high-quality wood and featuring a durable, versatile white finish, the Francis White Wooden Ottoman Storage Bed's neutral colour, along with the design, creates a bed that will blend into any bedroom style with any colour scheme. The simple design of the Francis White Wooden Ottoman Storage Bed also means that it adapts the the furniture around it, and can adapt to a room with a minimalist decor. The Francis White Wooden Ottoman Storage Bed focuses on support and comfort as well as practicality and style. 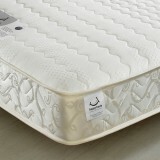 It features a sprung slatted base which grants additional support as you sleep. 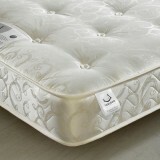 Sprung slats also allow air to circulate around the mattress. 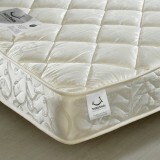 This mattress breathability keeps it fresh and dry, helping it last longer. 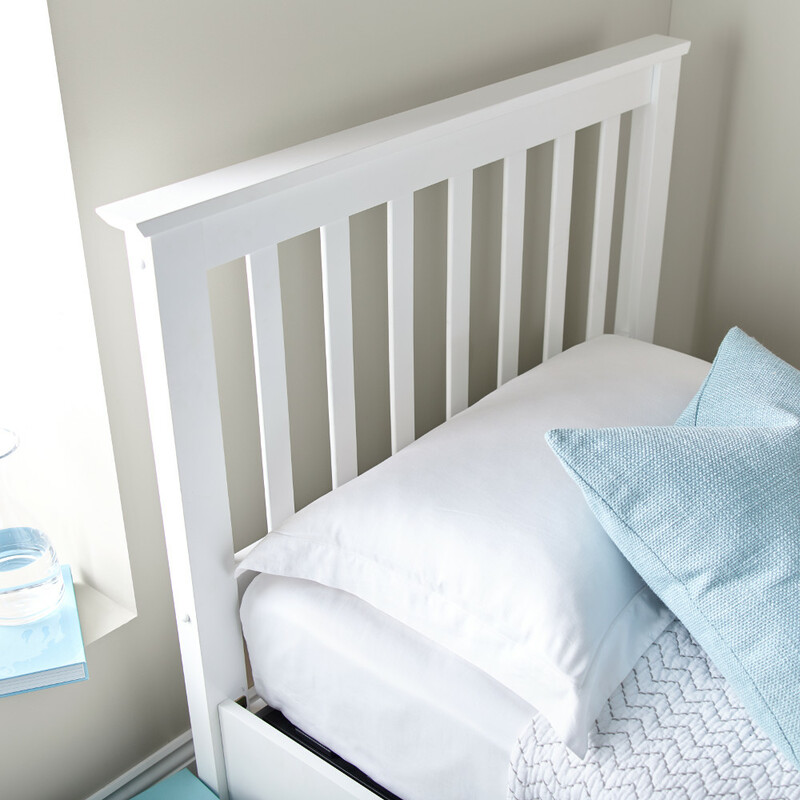 Though the Francis White Wooden Ottoman Storage Bed arrives flat packed it can easily be assembled, thanks to the comprehensive instructions included.